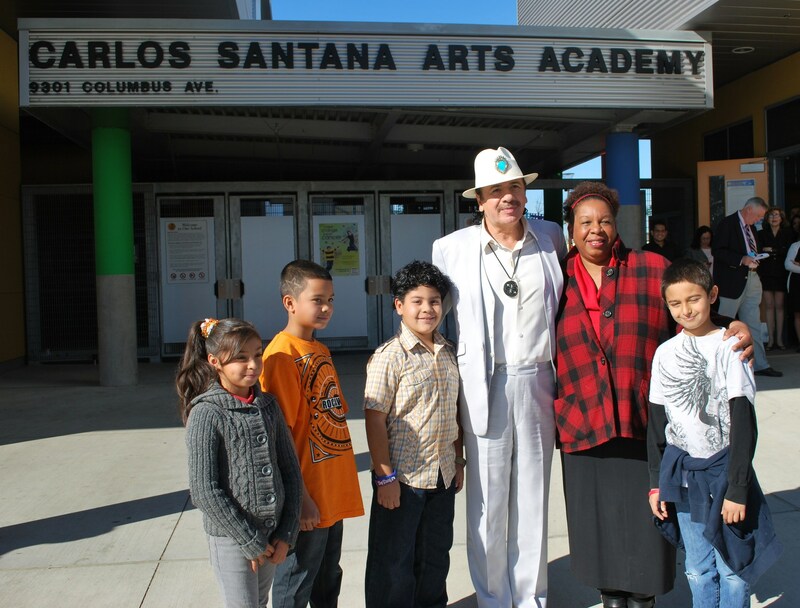 Carlos Santana Arts Academy is a Public School Choice site operated by Educational Service Center North in Los Angeles Unified School District. It promises to provide a unique educational opportunity that demonstrates an effective, exciting, and innovative collaboration between families and the community. 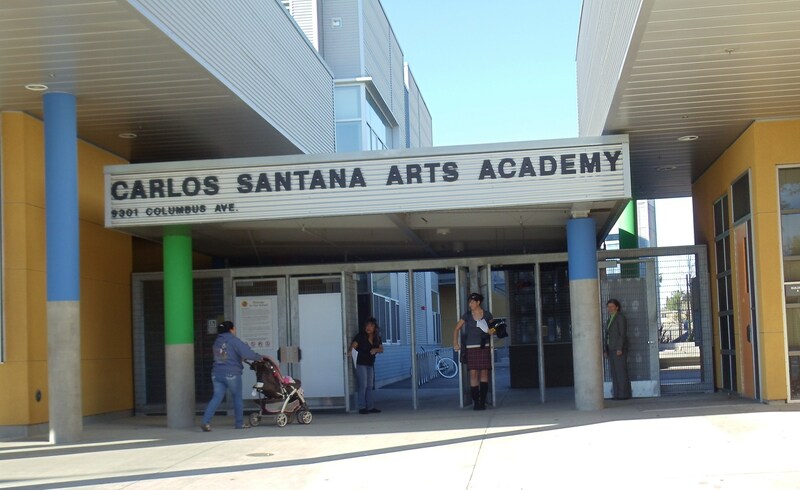 The vision of Santana is to develop a school where all students engage in academics, with arts at the core, providing multiple pathways to understanding and achievement for all learners. Santana staff includes arts specialists in dance, music, drama, and visual arts who will provide leadership in developing arts-infused instruction across the curriculum. Staff members have attended workshops throughout the summer to increase their knowledge of standards-based arts instruction and implement best practices from research-based curriculum. Santana hopes to become a leader in the field of arts education as it develops deep lasting relationships with arts entities, universities, and colleges across the country to eventually provide budding teacher/artists and administrators a place to become well versed in high quality standards based and arts enhanced instruction that is engaging, and innovative. Santana is poised to prepare students for success in a diverse society and ever-changing world. The entire Santana community is committed to providing the necessary support and encouragement to develop the original thinkers, creative problem solvers, and technologically skilled leaders of tomorrow. 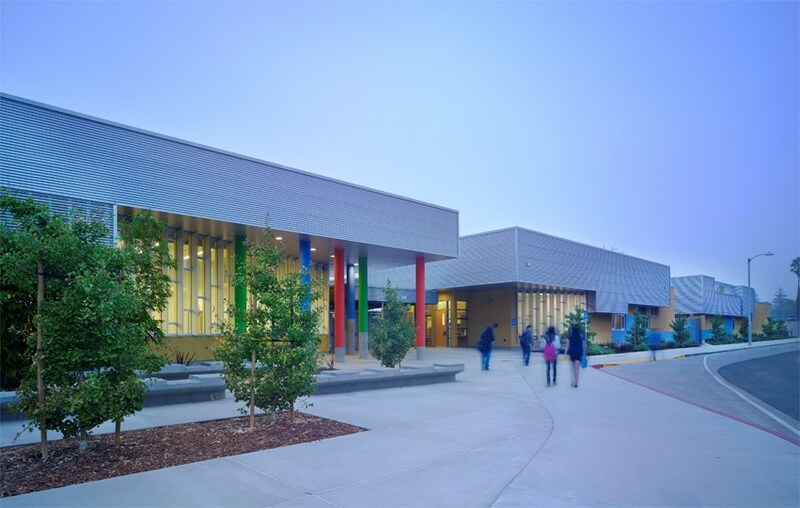 School facilities include classrooms, music room, computer lab, outdoor stage, California garden, a library, multi-purpose room, food service area and lunch shelter, administrative offices, playfields, and underground parking.